You’ll want to consider the existing style of your bathroom to ensure you get taps that fit into the décor. It’s also worth spending as much as you can afford to ensure a high quality that will last for years. You’ll also need to decide whether to go for traditional styling, like cross-head taps or something contemporary and chic like waterfall taps. Before installing new taps, check that your home’s water pressure is at the right level for your water system. Lower pressure systems will require taps specifically designed to work with low pressure. All high-pressure systems, such as mains fed, and combination boilers can have a wider variety of taps installed. These are similar to monoblocs but instead of a single lever, they have individual controls for hot and cold water. They are available in both classic and contemporary designs and in two or three-hole configurations. They often come in a traditional cross-head style, adding a touch of elegance to a timeless bathroom décor. 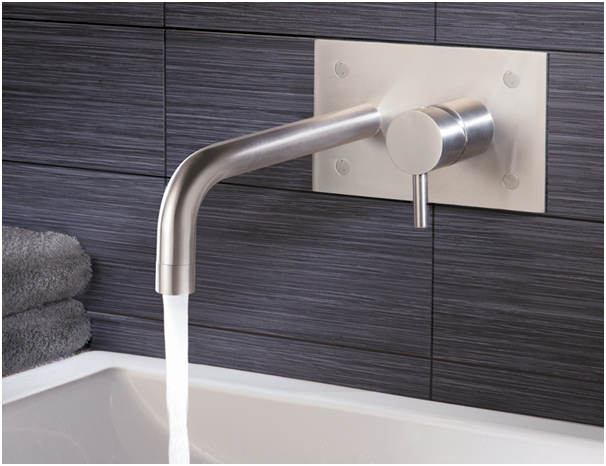 Pillar taps are simple to install and are the most economical taps to purchase. They come as a pair, with one controlling the flow of cold water and the other for the hot. They are available in both modern and classic styles, but you’ll need to have a two tap-hole set up on your basin. If you want taps that protrude from your wall and not the sink, then this can be a little trickier as the pipework needs to be hidden in the wall itself. However, the end result is a streamlined, chic and very contemporary look to suit a modern bathroom. 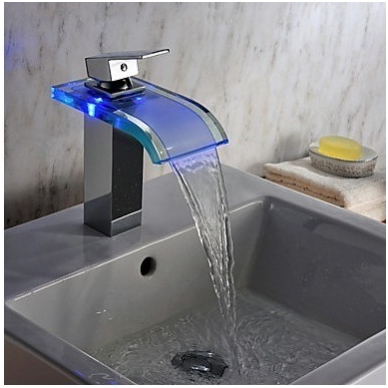 Your basin or countertop won’t need to have any tap holes. Similar to the look of a monobloc tap, the high rise is, as the name suggests, much taller. They are perfect for mounting to a worktop and combined with a bowl-shaped countertop sink.